Thousands of years before, a very powerful line was said in the 'Vedas', that is, “Yatha Drishti, tatha Srishti!”. It means, how you see the world, the world will appear to you in the same way. Have you ever realized that, when you are happy, you enjoy the music but, when you are sad you understand the lyrics. Life is good! It depends on us how we perceive it.. Some day you are happy and the people around you seem so friendly and kind hearted. Other days when you are sad, you might feel the same world around you is just filled with darkness. The only thing why the same thing seems different to you is because of your way of thinking, your perception. Life might always not be sweet like a chocolate bar, it also has its own spices. Always having happy time is not in our hands. 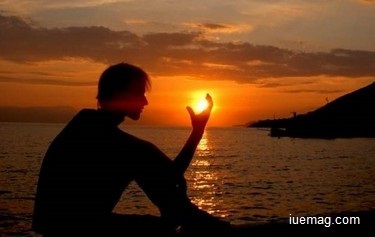 But enjoying whatever time, life shows us, is definitely in our hand. As we have some scientific theories, for the existence of the world, I feel we also have some philosophical theories for leading happy life. These theories are not a big deal like understanding the law of inertia, but it will just help you to be happy in whatever situation you are. If you could remember at least one of it, it will make a difference in your life. Always in life, whatever happens with in and around you, believe that everything happens for a good reason. In a very bad situation if you strongly believe that everything happens for a good reason, you shall be very strong enough to face that situation. Believing this will bring a ray of hope in your life. Not only believe, but also knowing that, there might be a good reason when such difficult situation comes in your life. We get attached to every single thing or may be a person who enters our life. Sometimes they stay for a long time and suddenly leave you alone. You keep thinking ‘why me? What’s my fault?’. After that, you are afraid to allow anybody else to enter your life. This happens to most of use. But remember, you never lose what is yours and what you lost was never yours. It will really make you so strong that, it will hardly matter if someone leaves you alone! Everybody has sore days in their life. Some are strong enough to face them, some are not. The week ones don’t find a way to go, they become low, lose hope, many a times end up finishing their lives. If at a moment, the thought of ending your life comes to your mind, the next moment another thought that says, “since I’m going to end this life, let’s see what happens further before ending it” should come . When life shows you such situations, you need to remember that, it is the same life which also gave you so many happy moments. What is bad, is the day which will pass away. A new day will rise with new sunlight of new hopes. At the end, everything depends on how you see it. Be thankful for whatever you have! Even be thankful if you have a problem because, somewhere in the world there might be someone who might be facing a worst problem than yours. There is only one person who can make you happy; that is YOU! The happiness wouldn’t have its importance without the touch of sadness. See how beautiful the world is and indeed, your life will become more beautiful. To be happy, you just need to change your vision. Think positive and be grateful for whatever you have! Be Happy! Keep Smiling! Dream as if you’ll live forever, live as if you’ll die tomorrow!